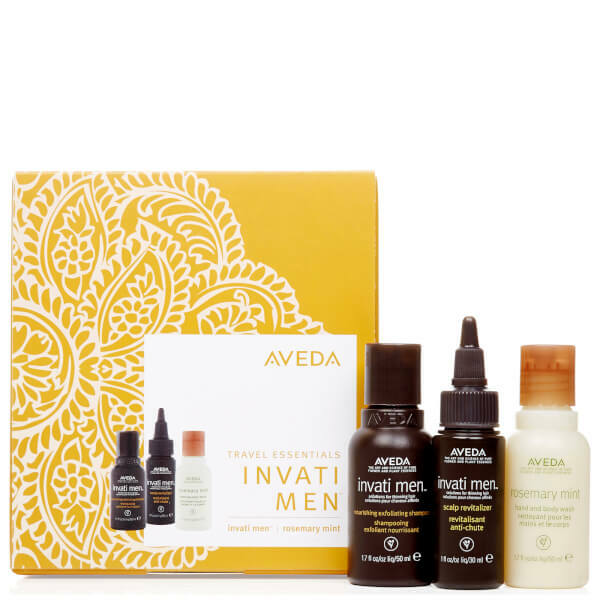 Combining three grooming essentials, the Men's Discovery Set from Aveda makes a perfect travelling companion. 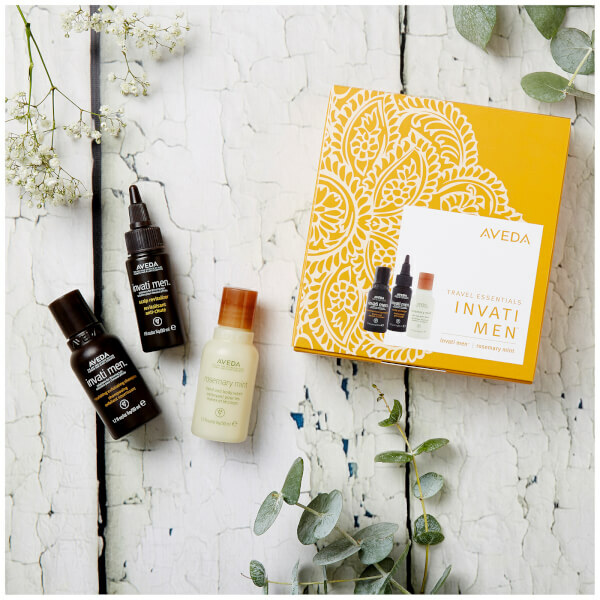 Housed in a branded box, the kit includes a revitalising shampoo, hair and scalp treatment and a refreshing wash for the hands and body. Ideal for thinning hair, the treatment works to invigorate and thicken hair at the root. Fortified with certified organic Amla, grown in India and known as a 'superfood' for hair, the innovative formula creates an optimal scalp environment for healthy hair growth, whilst a powerful blend of plant actives work to strengthen and increase density of hair. A gentle cleansing formula that effectively refreshes and balances skin so that you can wash frequently without over-drying. Imparting an invigorating scent of Certified Organic Rosemary and Peppermint, the rejuvenating blend eliminates impurities and envelops the hands and body with a long-lasting aroma. 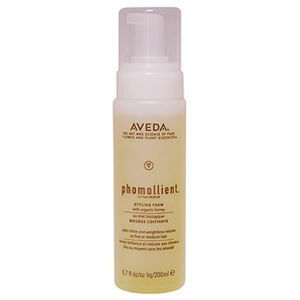 Treatment: Apply in a straight line from front to back on centre, left and right sides of scalp-once daily. Massage in. Do not rinse. Hand and Body Wash: Wet hands and work into a creamy lather. Apply to wet skin. When finished cleansing, rinse thoroughly. Shampoo: Water\Aqua\Eau, Sodium Lauroyl Methyl Isethionate, Sodium Chloride, Methyl Soyate, Babassuamidopropyl Betaine, Cocamide Mipa, Sodium Methyl Cocoyl Taurate, Glycol Distearate, Propanediol, Curcuma Longa (Turmeric) Root Extract, Panax Ginseng (Ginseng) Root Extract, Emblica Officinalis Fruit Extract, Epilobium Fleisheri Extract, Menthol, Glycerin, Salicylic Acid, Caffeine, Acetyl Carnitine Hcl, Guar Hydroxypropyltrimonium Chloride, Malt Extract, Adenosine Phosphate, Creatine, Yeast Extract\Faex\Extrait De Levure, Arginine, Lauric Acid, Glyceryl Caprylate, Simethicone, Methyl Trimethicone, Sodium Laurate, Polyglyceryl-10 Laurate, Acrylates/Dimethicone Copolymer, Sodium Gluconate, Dimethicone PEG-8 Polyacrylate, Sodium Sulfate, Citric Acid, Fragrance (Parfum), Linalool, Eugenol, Geraniol, Citronellol, Citral, Benzyl Benzoate, Limonene, Potassium Sorbate, Phenoxyethanol. Treatment: Alcohol Denat., Water\Aqua\Eau, Butylene Glycol, Glycerin, Curcuma Longa (Turmeric) Root Extract, Panax Ginseng (Ginseng) Root Extract, Glycyrrhiza Glabra (Licorice) Root Extract, Crithmum Maritimum Extract, Fucus Vesiculosus Extract, Rubus Idaeus (Raspberry) Leaf Extract, Emblica Officinalis (Amla) Fruit Extract, Epilobium Fleisheri Extract, Laminaria Saccharina Extract, Chlorella Vulgaris Extract, Camellia Sinensis (Green Tea) Leaf Extract, Adenosine Phosphate, Tocopheryl Nicotinate, Tocopheryl Acetate, Arginine, Caffeine, Malt Extract, Yeast Extract\Faex\Extrait De Levure, Panicum Miliaceum (Millet) Seed Oil, Hydroxypropyl Methylcellulose, Dipotassium Glycyrrhizate, PEG-40 Hydrogenated Castor Oil, Acetyl Carnitine Hcl, Creatine, Pyridoxine Hcl, Hydroxypropylcellulose, Simethicone, Glucosamine Hcl, Fragrance (Parfum), Farnesol, Eugenol, Linalool, Benzyl Salicylate, Citronellol, Citral, Limonene, Benzyl Benzoate, Geraniol, Isoeugenol, Phenoxyethanol. Hand and Body Wash: Water\Aqua\Eau, Ammonium Lauryl Sulfate, Propanediol, Decyl Glucoside, Sodium Hydroxypropylsulfonate Laurylglucoside Crosspolymer, Babassuamidopropyl Betaine, Sodium Chloride, Aloe Barbadensis Leaf, Rosmarinus Officinalis (Rosemary) Leaf Oil, Mentha Piperita (Peppermint) Oil, Lavandula Angustifolia (Lavender) Oil, Origanum Majorana Leaf Oil, Menthol, Alpha-Glucan Oligosaccharide, Glycerin, Tocopherol, Glycine Soja (Soybean) Oil, Glycol Distearate, Acrylates Copolymer, Citric Acid, Sodium Hydroxide, Fragrance (Parfum), Linalool, Limonene, Isoeugenol, Sodium Phytate, Phenoxyethanol, Sodium Benzoate, Potassium Sorbate.